The Santa Barbara Foundation recently held a seminar for local businesses and Veterans on “Why Hiring Veterans Makes Sense”. We talked with Katy Simas, North Country Direct of the Santa Barbara Foundation, about the event and the importance of connecting our Veterans to job opportunities in Santa Maria. 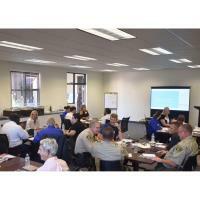 Why did the Santa Barbara Foundation feel it was important to hold a seminar on hiring Veterans? What was the goal? Simas: Last year the Santa Barbara Foundation commissioned a Santa Barbara County Veterans Needs Assessment. One of the opportunities for impact noted in the assessment was to educate and engage the Santa Barbara County business community about veterans. The goal of the seminar was to increase awareness and understanding of military, cultural competence, and the military-to-civilian transition process, especially as it relates to the workplace. The seminar was an opportunity to bring employers, veterans and active-duty service members together to engage in a robust dialogue around civilian-military cultural differences that may affect veteran hiring and retention. How do you feel the seminar on went and what do you hope people got out of it? Simas: The engagement of the participants during the workshop and the networking session at the end exceeded our expectations. The sharing of thoughts and perceptions by both the employers and veterans was enlightening. Employers who are unfamiliar with military culture sometimes struggle to understand the different roles and training that encompass today’s service members. Likewise, veterans often struggle to understand the civilian workplace. The employers, active-duty military and veterans walked away with a better understanding of the transition mindset and made connections for future conversations with each other. Moving forward, how do you feel the business community can better connect with our local Veterans? What do you see the Santa Babara Foundation’s role being in helping develop these relationships, or in the realm of Veteran employment? Simas: The seminar was a significant first step in more strategically connecting the business community with our veterans. The Foundation’s role is that of helping to bridge the gap in understanding and continuing to educate businesses on gainful employment of veterans. You can learn more about the Santa Barbara Foundation and their work with connecting Veterans to jobs by visiting ww.sbfoundation.org.